Who doesn't love audio books? You get to drive, exercise, cook, rake leaves, paint your house, or take a walk at the same time you listen to a book. To help promote the Audio Publisher's Association celebration of audio books, I'm featuring several of my favorites. (If you need more examples, search this blog (top left hand corner under "audio book/s" or "books on CD). 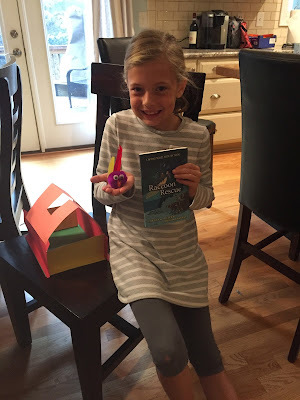 At the end of this post is a fantastic giveaway for you to enter! 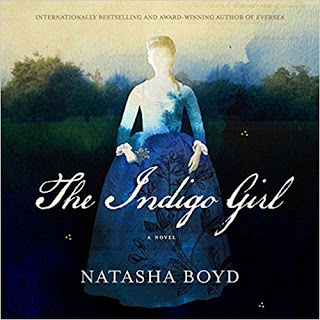 Saskia Maaleveld narrated Indigo Girl by Natasha Boyd (Blackstone Publishing, 2017) which I absolutely adored. Ms. Maaleveld brought this historic Charleston, SC story alive through her beautiful portrayal of both white and African American characters. 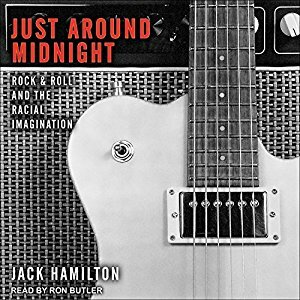 Ron Butler narrated Just Around Midnight: Rock and Roll and the Racial Imagination by Jack Hamilton (Harvard University Press, 2016). His melodious voice fit the tenor of this nonfiction book which depicts the links between racial identity and music in the 50's and 60's. 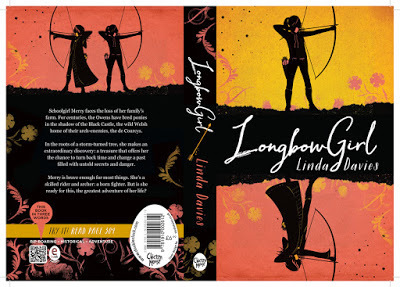 Emily Wilden narrated Longbow Girl by Linda Davis (Chicken House, 2016) which is another one of my favorites. At first Ms. Wilden's Welsh accent was a little difficult to follow, but I ended up thinking that her accent lent authenticity to a story that takes place in modern and ancient Wales. 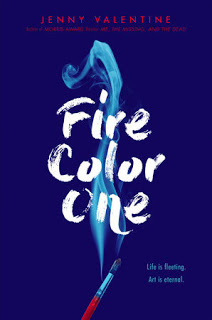 Gemma Dawson narrated Fire Color One by Jenny Valentine (Penguin Random House, 2017). Ms. Dawson did an impressive job with male and female voices and British and American accents in this gripping young adult book about a girl struggling with pyromania. 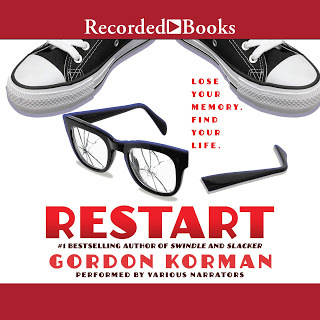 Multiple narrators performed Restart by Gordon Korman (Scholastic Press, 2017). Each actor did an excellent job personifying their character. As a result, the atmosphere of middle school alliances and conflicts was authentic and realistically portrayed. I love to listen to books on car trips. The time passes much quicker when I'm gazing at miles and miles of asphalt highways while my mind is imagining fields of indigo, rock musicians in the 50's, ancient Wales, or the drama of middle school. My brain is engaged and quite frankly, I have "read" many more books since starting to listen to audio books. As this article points out, audio books are also great for reluctant readers and audio learners. Click on this link for more reviews of audiobooks. 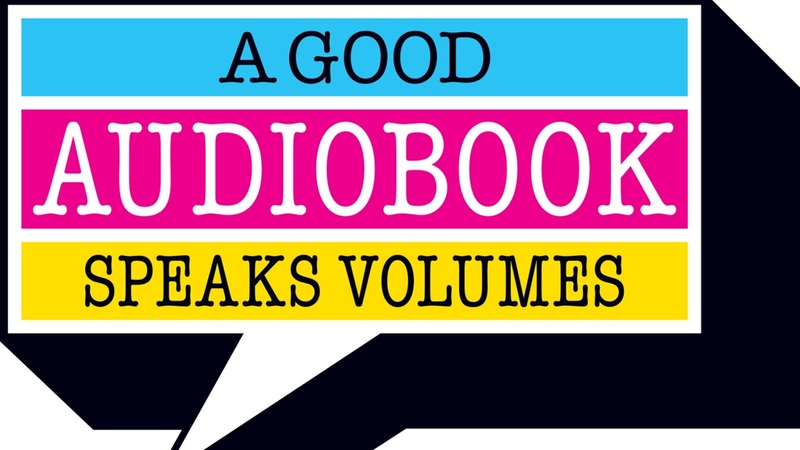 As a part of this blog tour, Galaxy Press, Hachette Audio, Harper Audio, High Bridge Audio, Macmillan, Penguin Random House Audio, Post Hypnotic Press, Scholastic, Simon and Schuster Audio, and Tantor Audio have generously donated audio books as giveaways. Leave me a comment by December 1--make sure you leave me your email address--if you win, one of these publishers will select an audio book for you. What a great surprise to receive in the mail! 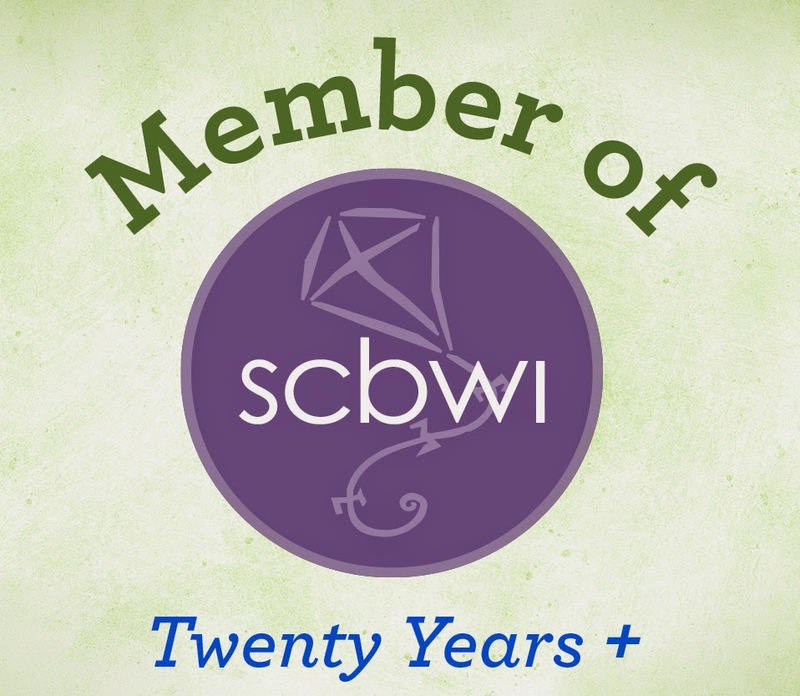 Congratulations to Carol-Ann Ruddy who won Two Thousand Years from last week's blog. 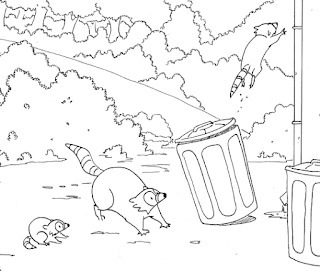 Author Christa M. Miller could have subtitled Raccoon Rescue, The Kits and the Kids. Those four words pretty much summarizes this illustrated book that children in grades 2-3 will enjoy. Roxy, Rufus, and Renae are three young raccoons who are learning about life outside their comfortable den. As they venture out to gather food they encounter humans--as well as the trash they leave behind. Children will enjoy the interaction between the kits that sounds very much like normal give and take in a family. "Don't call me fox-bait!" She leaped at him. "Mama!" Rufus screeched and got away barely in time. "Roxy bared her teeth at me!" "When you see a human acting normal, the best thing to do is leave it alone." 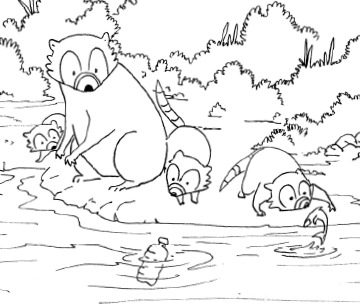 As the raccoons cross paths with Helena, Hope, and their parents, there is misunderstanding conflict, and then ultimately, a new respect on both sides. 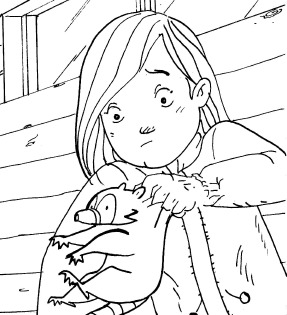 The final chapter includes clever dialogue which shows the reader how both the animals and the children feel and think. Here is Christa's reason for writing Raccoon Rescue. 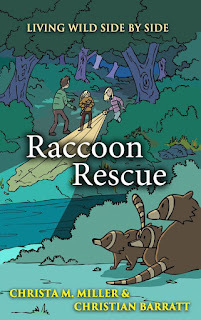 Raccoon Rescue was the result of spending hours at Izzie's Pond, a local wildlife rescue and sanctuary, volunteering to help care for recovering and orphaned animals -- including raccoons. As I watched young raccoons grow from small kits to juveniles and at last to releasable adults, I grew from simply thinking they were cute, to deeply respecting their intelligence, sociability, and instincts. 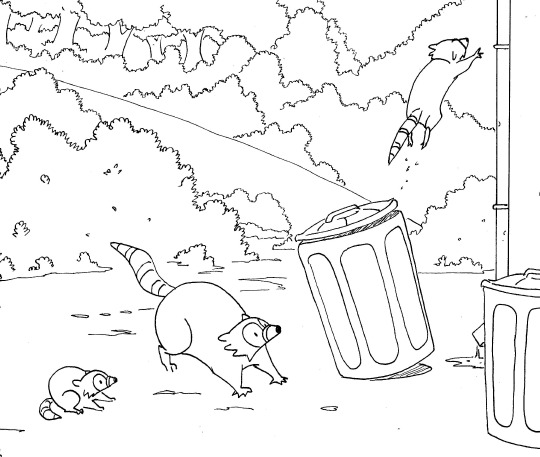 Raccoons are among the most adaptable species, but also among the least understood. In the Guardians of the Galaxy movies, Rocket Raccoon is deeply offended by people calling him "vermin" or other epithets that reduce the true measure of his loyalty and quick wits. Seeing people disgusted by "disease-carrying" animals -- at the same time that professional rehabilitators treat them for distemper, worms, and even (via vaccination) rabies -- drove me to write Raccoon Rescue from the point of view of animals who are as uncertain about humans as we can be about them, and hopefully to make us think about how we see them. Raccoon Rescue is about the heart of those misunderstandings, and the small steps we can all take to correct them towards humane, peaceful coexistence with our wild neighbors. 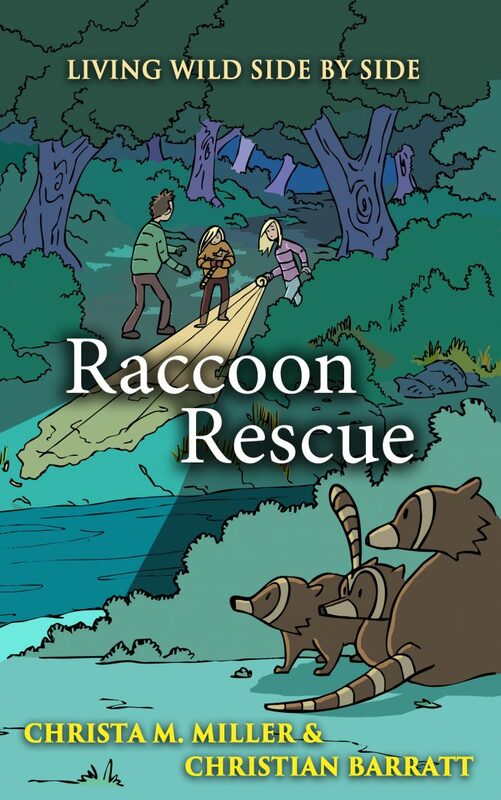 The illustrations sprinkled through Raccoon Rescue make this book very accessible to young readers. Read more about the illustrator, Christian Barratt, on Christa's blog. In addition, the book uses Dyslexic font to make it more accessible to readers with learning disabilities. 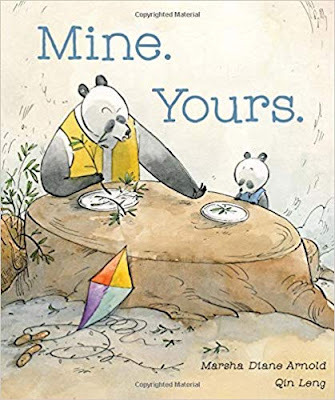 One of the neat extras of this well-written book are the 29 pages of Curriculum Connections at the end. I'm giving my copy to one of my granddaughters to read and give to her teacher. If you have a child or grandchild in second or third grade, consider how this might be a better teacher gift this year than another coffee mug! I don't always remember the book blurbs I read when I select books from the Tantor Audio catalog. As a result, when I began listening to For Two Thousand Years I was confused. Without dates, cities, or countries marking the sections, I had trouble following the stream of consciousness writing--I had forgotten that this was Mihail Sebastian's journal. On top of that, add the unfamiliar Romanian names and lack of context clues, and it took me awhile to figure out that when the book opens Sebastian is a law student in Bucharist. 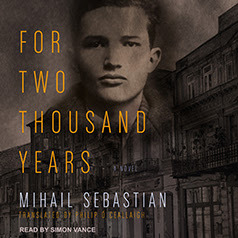 Having said that, if you are interested in what it was like to be an intelligent Romanian Jew after World War I in the midst of virulent Anti-semitism and Zionism--then this is a book for you. Sebastian waxes philosophical about himself and his own writing; God and Judaism; his beloved country of Romania; women, his peers, his professors, and family; politics, Communism and Marxism; the law and architecture (his second area of study). Below are some of his musings; please keep in mind that I did my best to quote the book accurately. When he observes other Jews who are beaten he tells himself "If I cry, I am lost. I don't want to die of shame." He has friends who fight for the right to be a Jew. "I'm never going to be a revolutionary. I'm not the tough kind." "I belong to a race that can't shut up." "One day we may make peace with the anti-semites but when will we make peace with ourselves?" Margot is the woman he loved but let go. "My big ethereal questions are put aside by her living, personal meanings." He questions the Zionists. "Are Zionists going to work with pick axes an act of heroism or desperation?" "What are you going to do with the indigenous Arabs who have the right to a natural death, rather than an abrupt one by Zionist extremism?" (this sentiment reminded me of Blood Brothers). His grandmother dies and he wishes she would have embraced it and died more easily. "We die in despair--our last chance to be at peace and be saved." He wonders if mourning is indulgence. He comments on his own journal and sees it as folly and his own desire to feel superior to others. "I have never had a conversation with someone without wondering if they know I'm a Jew and if they'd forgive me or not." A Zionist friend leaves for Israel and Sebastian muses, "Two thousand years can't be overcome by leaving for somewhere...Only rarely through this history of warfare, victories, and kingdoms, does light pierce the mist. Is it possible to build a new history from such material?" He remembers that as a youth he was assigned to a "special regime" for Jews on guard duty. "This made me feel as if Romania was not my Fatherland. That assignment erased two centuries of history." He did not want to sink into despair or martyrdom as he struggled to love that which he was not allowed to love. "I can't cease being a Jew. But I also will never cease to be from the land of the Danube." According to Wikipedia, Sebastian first published a novel titled, "For a Thousand Years" in 1934. He was hit by a truck and died in 1945. His journal was discovered and published in 1996. As I listened I wondered if he ever imagined that his personal journal would be published and read around the world. This book is aptly narrated by Simon Vane. You can listen to an audio file here. Leave me a comment by November 17 if you wish to enter this giveaway. It may be the perfect gift for your favorite historian. PLEASE leave your email address if you think I might not have it. A Customized Emotional Wound Created for Half-Truths! I don't typically blog twice in one week, but I couldn't wait to share some news with you. 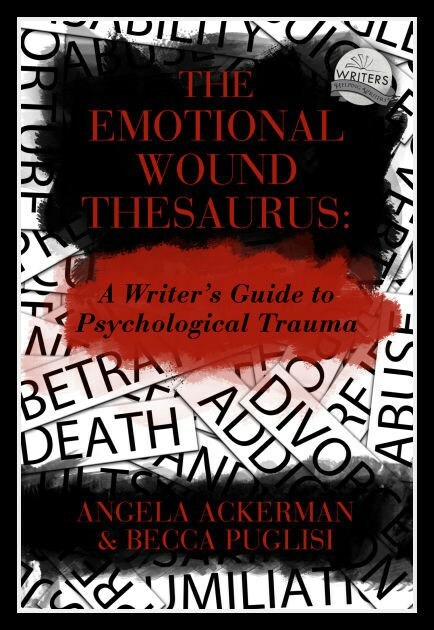 Remember when I posted about Angela Ackerman and Becca Puglisi's new Emotional Thesaurus two weeks ago? 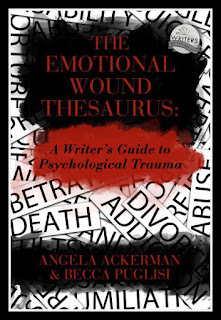 I am thrilled that you've won a Custom Description Thesaurus Entry from Becca and I for the Emotional Wound Thesaurus. So basically, you can pick any wound we haven't covered in our book or at One Stop for Writers, and we will write it for you. This is perfect if you have a character that you want to dig a bit deeper into. Just follow the link to see which ones we have, and if there's one you would like us to explore for you, we will. I immediately returned her email with backstory about Half-Truths and some ideas. The following week the equally amazing Becca Puglisi (honestly, I don't know if this pair ever sleeps!) posted this on One Stop for Writers. How cool is this? Like all wounds, this one can have varying effects on the individual depending on the circumstances. In some cases, the person may discover something that isn't a bad thing (such as the truth about a racial or cultural heritage) but it rocks their world due to how it reshapes their identity. This could be especially challenging if they grew up being taught specific racist beliefs and now they must reconcile with this new information that places them within that same group. In other instances, they may discover something unethical or unconscionable in their family history that they'll have to come to grips with. Another factor to consider is how the character discovers the information. Was it deliberately kept from them or simply an unknown? Do they stumble upon it unexpectedly or was there suspicion in their minds all along? Do they discover it on their own or is it uncovered by someone who goes public with it, forcing the character to process the information before they're ready to do so? As always, examine the event from many different angles to ensure it has the proper impact. I'm not the person I thought I was. My entire life is a sham. If others find out about this, they'll reject me. If this part of my life is a lie, then nothing is certain. My blood makes me guilty by association (if notoriety is discovered in one's family roots). If I reveal what I've learned to my family members, it will destroy us. So it's best to keep it secret. Uncovering a secret at work or in a trusted organization and having to decide what to do with the information. Didn't Becca do an amazing job? Trust me, I'll be pouring over this entry and mining every nugget! By the way, if you haven't checked out One Stop, here is my blog post giving you a window into how I use this comprehensive writing resource. Congratulations to Joan Edwards who won RESTART from last week's giveaway. Thanks to almost five hundred people who read my second blog in this mini-series of posts about my WIP. That's a new record for a blog post about Half-Truths! 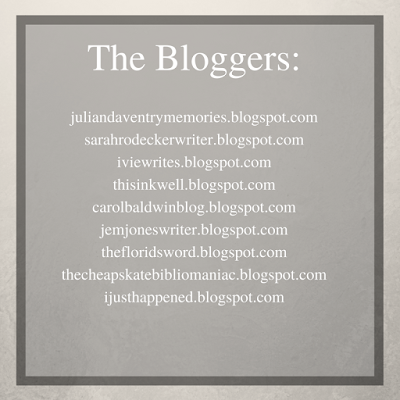 In this post, Julian Daventry (the ring leader for these posts) challenged me and my fellow bloggers with ten more thought-provoking questions. Click here for Part I in this series, and Part II. 1. Name a unique aspect of your story world. Both neighborhoods, Myers Park where Kate Dinsmore lives with her grandparents, and Cherry, an African American neighborhood where Lillian Harris lives three miles away, still exist. Several years ago I met a gentleman who grew up in Myers Park. Although his grandparents’ home is now subdivided into condominiums, we walked through parts of it. I have used it as a model for the Dinsmore home--including the gardens and the barn out back that once stabled horses. carved into the shutters on his grandparents' home. One of my other experts was an elderly gentleman who grew up in Cherry. One day he drove me around the neighborhood and showed me his church and the home he grew up in. Price Davis outside his childhood home in Cherry. 2. Talk about one of the important animals in the story (someone's pet or horse; or a fierce animal the MC must defeat). 3. A paragraph describing something in your storyworld (building, landmark, etc.). Giant shadows loom behind every tree. Safe in Myers Park now. Monster mansions line the road. 4. Something dangerous in your story world. This is part of a scene when Kate and Lillian go downtown together. Over the lunch counter the WHITES ONLY sign accuses me. I stare at the chalkboard menu next to the large mirror. Will the waitress serve Lillian? She should! Lillian’s sand-colored skin is almost as white as mine! Now I understand why she’s wearing a suit. With less of her skin showing, she’ll blend in better. The waitress takes our order without giving either of us a second glance. I spin my stool, trying to relax. The police officer who had shoved past us when we were standing outside Liggett’s swaggers past the colored kids. He stops, twirls his nightstick, and says something I can’t hear. Whatever he says, the kids nod their heads obediently. But when he turns his back, a boy sticks his tongue out. The kids hold their hands up to their mouths as if holding in laughter. “I AM minding my own business,” Lillian hisses back. “They shouldn’t give you no trouble,” Officer Duckworth says. “If they do, you just let me and my partner here handle it.” He taps his nightstick that’s hanging from his hip. Officer Duckworth strolls along the row of stools, greeting some of the customers, and patting a few on the back. He’s heading right for us! What are we going to do if he figures out Lillian is colored? We’ll be arrested and dragged off to jail! I can’t believe Lillian’s put us in such danger. When Grandmother finds out what we’ve done, I’ll never be allowed out of the house again. I grit my teeth. More than anything I want to be mad at her, but I can’t. Her passing was my idea. 5. Something delightful in your story world. He slides the marble drawer closed. “It’ll be our secret,” he says. Then he sits down and picks up his paper. I toss my marble from one hand to another. Do I want to share a secret with Lillian? Thunder rattles the window. Suddenly, the library door slams open. As if string ties our hands together, Lillian and I pocket our marbles at the same time. 6. A movie soundtrack that would complement the setting. 7. How does the geography impact the story? The physical landscape doesn’t play much of a part, but this is a uniquely southern story. I recently explained the premise to an older friend in Grand Rapids, MI. Her response made me realize that the politics and history of the South—although studied in other parts of the country—may shock readers who have not lived in the South. 8. 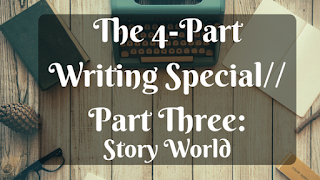 Is there a particular location or time period your story you had in mind when creating your story world? North Carolina, 1952. As a result, I've read about the Korean War, McCarthyism, tobacco farms, fashion, cars, architecture...you name it. See my Pinterest boards for pictures! 9. What is the climate like, and does it play a role in the story? 10. Are there any traditions, and do they have an effect upon the plot? 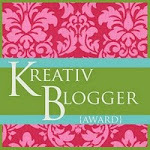 I hope you'll check out my fellow bloggers answers and see how they answered these questions.